برای اجرای نرم افزار به .Net Framework 4.5.2 نیاز دارید . Searches for software on Huawei’s servers, the found data unites into a common database. The program is engaged in the search and warehousing of firmware for Huawei devices. 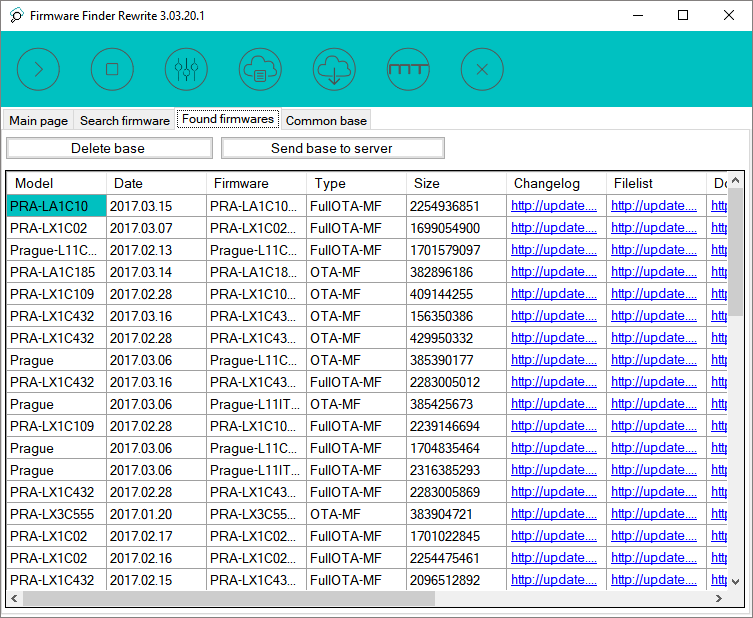 At the moment in the common database is more than 5000 different firmware, from different devices. In the future, the base will be replenished by the team of Team MT and ordinary users who want to find the latest firmware for their device. There is also a simplified version for the phone that deals with displaying firmware for your device, downloading and unpacking.